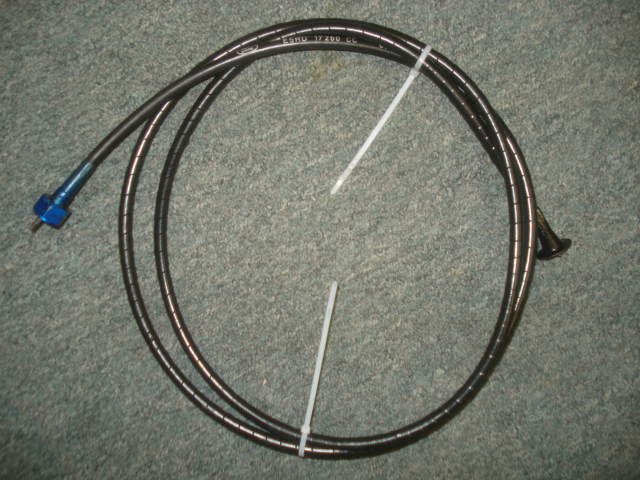 Good used OEM Ford speedometer cable for manual T9 transmissions provisioned with cruise control feature. One end has threaded attachment fitting usually found on 87-89 model year XRs. Please ensure your XR has this threaded fitting.